There’s no question that motor vehicle accidents comprise a significant number of personal injury cases. However, personal injury law applies to any event or incident where a person suffers harm due to the negligent conduct of another individual or entity. The law related to personal injury applies to slip and fall accidents caused by unsafe premises, dog bites, defective products, defamation, assault and battery, professional and medical malpractice, and wrongful death. Personal injury law involves the law of torts, which are civil wrongs that are filed privately, in contrast to a criminal matter, which is prosecuted by the government on behalf of the state as a whole. Tort law is also distinguished from criminal law in that it is based on the common law rather than statutory law. Common law is ever-changing, derived from custom and judicial precedent. Therefore, many of the basic principles of tort law are hundreds of years old. Every tort claim, regardless of whether it involves intentional or negligent conduct, or is based on strict liability, has two basic issues: liability and damages. Was the defendant liable for the damages sustained by the plaintiff, and, if so, what is the nature and extent of these damages? If liability and damages can be proven, our justice system provides compensation for a plaintiff’s losses. Slip and fall cases are another very common type of personal injury matter based on premises liability laws. Property owners, and, in some cases, renters, have a legal duty to keep their premises reasonably safe and free of hazards. In most cases, the owners of a dog are financially responsible for bites and other injuries that it causes. Pennsylvania law mandates that dog owners and keepers are strictly liable for a victim’s medical costs. Any injuries suffered because of a defective product may give rise to a product liability claim. Defamation of character in writing (libel) or in person (slander) refers to personal injuries resulting from untrue statements about a person’s reputation. Unlike most types of personal injury claims, intentional torts are not based on accidents caused by negligent conduct, but by conduct intended to harm or cause injury to another person. These cases almost always involve a criminal case against the civil defendant. Medical malpractice cases are some of the most complex types of personal injury cases and always necessitate the use of expert witnesses and testimony. 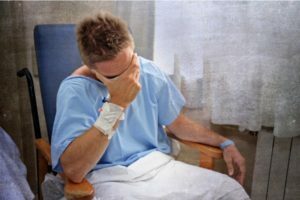 Medical malpractice claims arise when a doctor or other health care professional fails to provide treatment that meets the professional standard of care, causing injuries to the patient as a result. Wrongful death claims are based on the Pennsylvania wrongful death statute. If you or a loved one has suffered any type of injury resulting from the use of a product, contact Powell Law at (570) 961-0777. Our decades of experience make us the clear and obvious choice for all types of legal representation in the Scranton/Wilkes-Barre and surrounding areas. The consultation is FREE and you don’t pay anything unless we win. Our attorneys, past and present, have represented personal injury victims for 113 years. Call today!